Honestly, at first, you’d be hard-pressed to really notice what’s different about Supes’ latest wardrobe update—after all, it still looks like the Man of Steel we know and love. But there’s actually a few neat little re-tweaks and additions that bring it back closer to the classic Superman look. 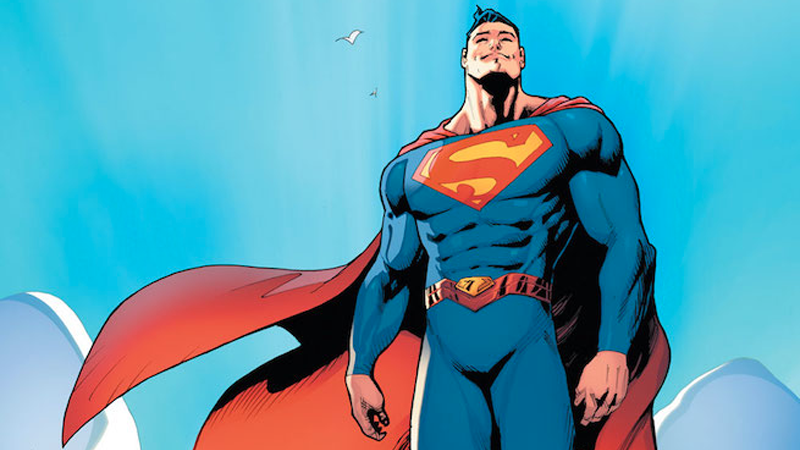 Revealed by Comicbook.com, the updated look will be adopted in April’s Superman #20 after the events of Superman Reborn, the upcoming Superman mini-event that will lift the lid on just who the un-powered Clark Kent running around alongside Superman in the comics at the moment actually is. An event that will apparently also make Clark realize that not wearing red boots made his look far too monochromatic. Not much else has actually changed from the Rebirth suit that Clark got a few months ago. Aside from the return of his red boots and a slightly lighter shade of blue in the suit, he now has a full red belt instead of the weird half-belt look, and the gauntlet-style ends of his suit arms inspired by the suit used in the movies at the moment are no more. But even though these changes are all minor, they are all steps back toward that classic, truly iconic Superman look—which makes sense, as this is after all the pre-Flashpoint era Superman. Hell, add a pair of red underpants and you’d basically be there! After years of tweaking and re-working, it seems like DC is looking to bring Superman’s aesthetic back to the classics bit by bit.